Classic Rock premiere the epic centrepiece of BROTHERS OF THE SONIC CLOTH‘s self-titled debut album, La Mano Poderosa. Eleven minutes of shifting sands and foreboding intonations potently convey the ominous nature of the band’s end-times music, with periods of decisive and direct riffing interspersed with captivating lamenting melodies. Listen to La Mano Poderosa over on Classic Rock. Don’t forget, you can still sample a taste of the heavy ahead of the record’s February 16th release date with a five-minute video teaser that finds Doyle presenting an in-depth look at the impetus in creating BROTHERS OF THE SONIC CLOTH, the tracking process and the weighty themes that bind the record. Watch the video teaser below here. Pre orders for the CD and LP are now available, and can be placed at the Neurot Recordings webstore. BROTHERS OF THE SONIC CLOTH is the sound of earthly decomposition and planetary demise; a slow, entrancing dance towards a looming apocalypse… thick, monolithic, deliberate and devouring. 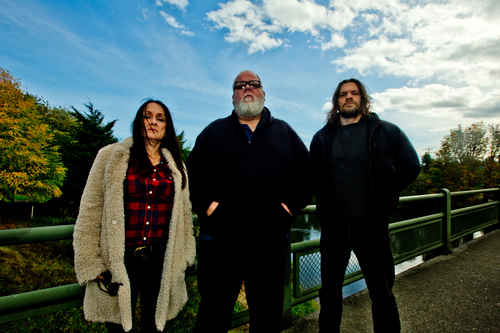 Fronted by Seattle’s legendary guitarist/vocalist Tad Doyle, formerly of TAD and Hog Molly, BROTHERS OF THE SONIC CLOTH is a trio of longtime rock soldiers that includes veteran bassist Peggy Doyle and drummer Dave French (The Anunnaki) and their forthcoming full-length debut maintains a long-held tradition of conjuring some of the heaviest music from the darkest depths of the Pacific Northwest. Slated for release next month via Neurot Recordings, Brothers Of The Sonic Cloth was captured at Robert Lang Studios and Doyle’s own Witch Ape Studio in Seattle, Washington and mixed by Billy Anderson (Sleep, High On Fire, Melvins et al). Thrusting forth five hauntingly heavy tracks, with two bonus hymns included on the CD edition the offering serves as Doyle’s first recorded release in nearly fifteen years. Brothers Of The Sonic Cloth’s audio manifestations are welcomingly unfamiliar, splicing thick, jagged riffs through chilling post-punk drumming and hulking compositions that blow soulfully hot and desolately cold, sometimes within the confines of one track. Their long-form pieces present the kind of mature ideas and expansive progressions that outpace the listener’s short-term memory leading them off the proverbial map; familiar landmarks like sludge, post-metal, rock all but disappeared over the horizon. 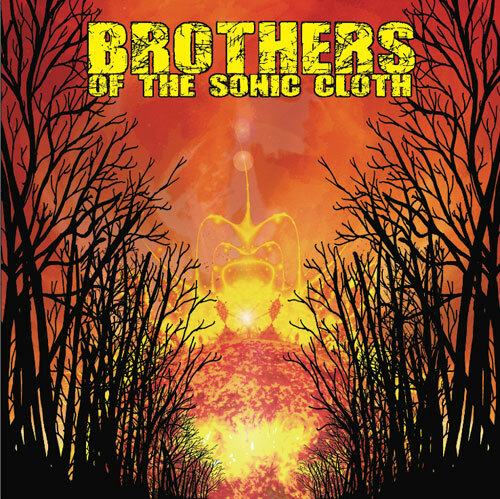 Authentic and authoritative, Brothers Of The Sonic Cloth is as much a persistent thudding body punch of sonic destructive force as it is a thoughtful statement of awareness and the inescapable raw condition of life.